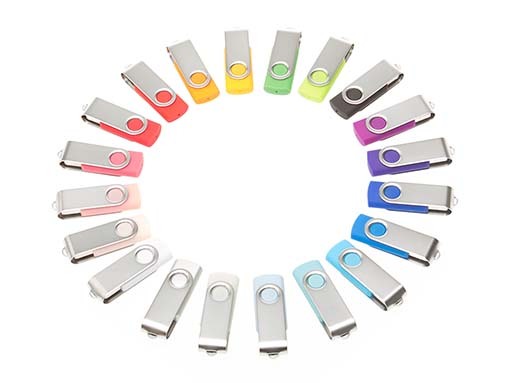 These Swivel Twister USB flash drives are one of the most popular USB models. With its 360° rotating metal shell that you can custom print or engrave with your logo. This same metal shell also protects the USB when it is not plugged-in. It is easy to attach on a key ring or lanyard, the Swivel USB flash drives are the perfect promotional tools.